The Event Complex (TECA), a new facility being constructed in Aberdeen, has reached a major milestone as work begins in its interior fit-out. 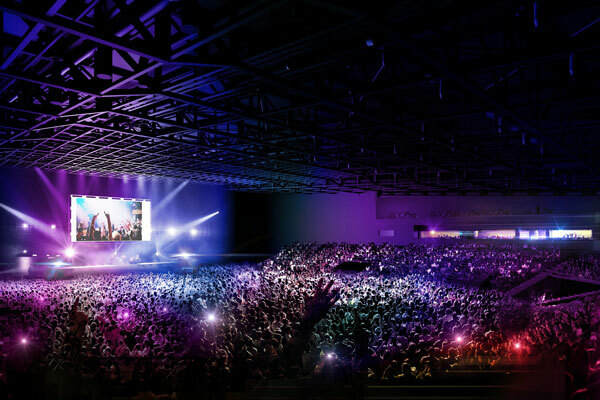 New computer-generated visualisations of the multi-million-pound venue have also been released by venue architect Keppie Design, showing the arena and restaurant. TECA is due for completion in 2019, and will provide a new world-class facility for Scotland close to Aberdeen Internation Airport. 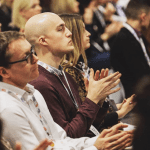 The main arena will have a capacity of 12,500 for conferences, exhibitions and music concerts, alongside three further halls, four multi-purpose conference rooms and 15 meeting rooms. Aberdeen City Council co-leader Councillor Douglas Lumsden said: “The new CGIs show how fantastic the restaurant and other areas will look in the TECA building, and it’s great to see the progress of what will be one of the biggest developments in the history of Aberdeen.